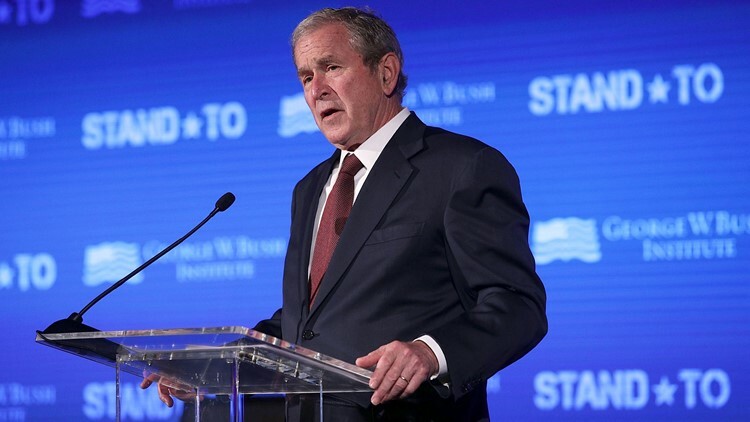 Former U.S. President George W. Bush speaks during a conference on June 23, 2017, at the U.S. Chamber of Commerce in Washington, D.C.
Former U.S. President George W. Bush will stop in Tampa and West Palm Beach on Friday to raise money for Gov. Rick Scott's U.S. Senate campaign. TAMPA, Fla. – Former U.S. President George W. Bush is visiting Tampa on Friday to raise money for Gov. Rick Scott’s U.S. Senate campaign. Bush will visit Florida amid Scott’s effort to oust incumbent Democratic Sen. Bill Nelson. The 43rd president is scheduled to be at a lunchtime fundraiser in Tampa and then a dinner reception in West Palm Beach.